There’s only one place on the planet where you can see flamingos roaming salt flats, vicuñas grazing in herds and condors soaring overhead, all as hot springs bubble beneath towering volcanoes. It’s the Altiplano of South America — a nearly 1,000-kilometer-long, otherworldly plateau that stretches from southern Peru through Bolivia and into Chile and Argentina…. Garzione and her colleagues have found that parts of the Altiplano didn’t gain their great height until 5 million to 10 million years ago. That means the Andes did not rise gradually over the last 45 million years, but lurched skyward in dramatic pulses. Cold, dense rock beneath the Altiplano would have weighed it down like an anchor. When blobs of that rock dripped off its underbelly into the deeper Earth, the Altiplano became more buoyant, like a bobber on a fishing line, and rose higher. From time to time, geology gets exciting! This is a delightful image. The article is long and involved enough to be interesting. Click through and check it out if you are so inclined. 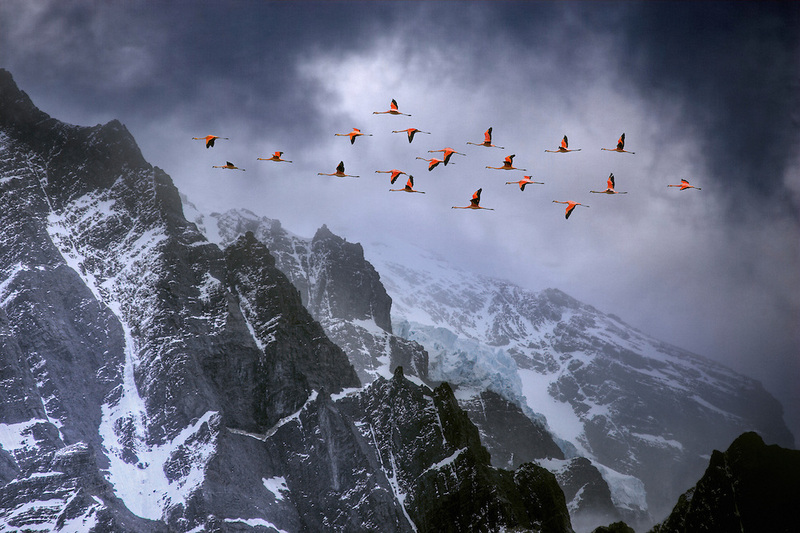 Also, enjoy this photo of flamingos flying over the Andes. I have this as a screen saver. I think it is the single best photo every put on the internet.